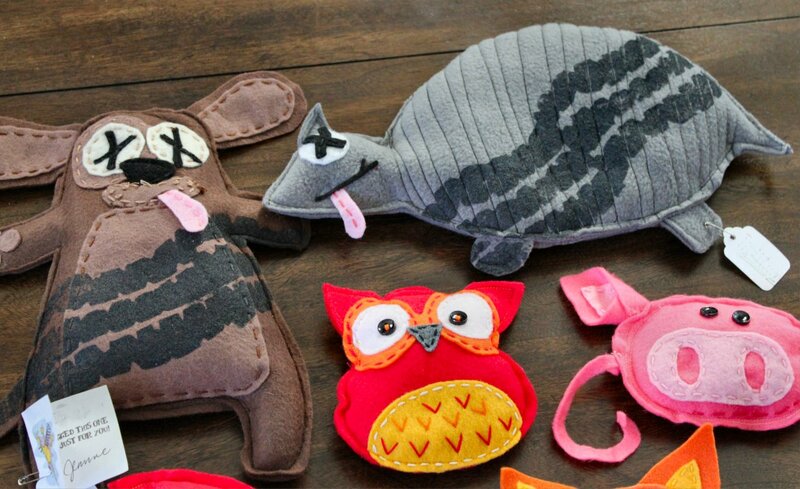 Your felt roadkill is hilarious. Your family must be a riot! Thanks, Paula. We really are a scream when we all get together. Hilarity ensues. These really were the “hit” of the party! LOVE them all! Please, please let me know what Saint David’s reaction is when he finds the dog in the freezer! Hmmm…should we be worried about you?! Hahahahahahaha…these are hilarious! Love them! Thanks, Terri! We’ve had a lot of fun with them. These look so awesome! I bought a book on how to make zombie felties, but I haven’t started them yet. Ooo! Send me a copy of the patterns, and I’ll zombie-along with you, Thoughtsy. Soon, our minions will take over the world. THE WORLD!!! So glad you liked them! For HRH, the possibilities are endless, but I’m going to guess a roadkill Tinkerbell would be too much. Ha! Maybe a dead snake she could wear around her neck. A Roadkill Boa boa. Jeanne….you have such a dark and twisted sense of humor. I LOVE IT! 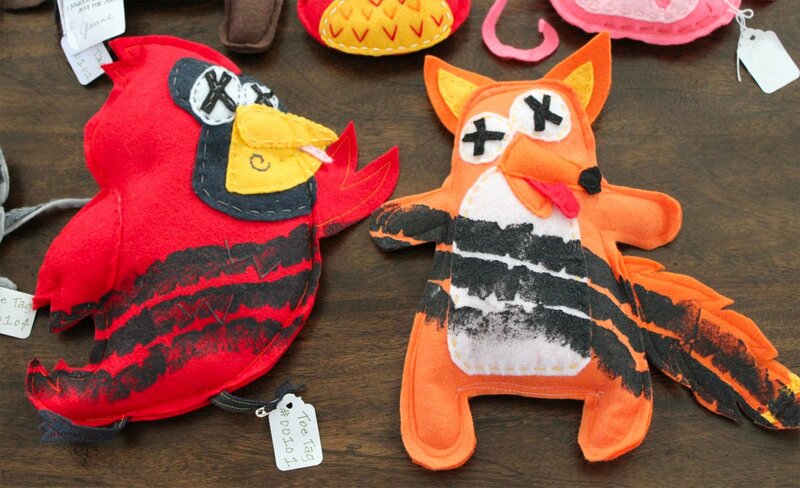 I bet these were so much fun to make. You seriously…seriously need to consider opening an Etsy shop! Glad you ladies had a wonderful time! I don’t know about the Etsy shop, but I can confirm that a good time was had by all. Thanks, Anne! 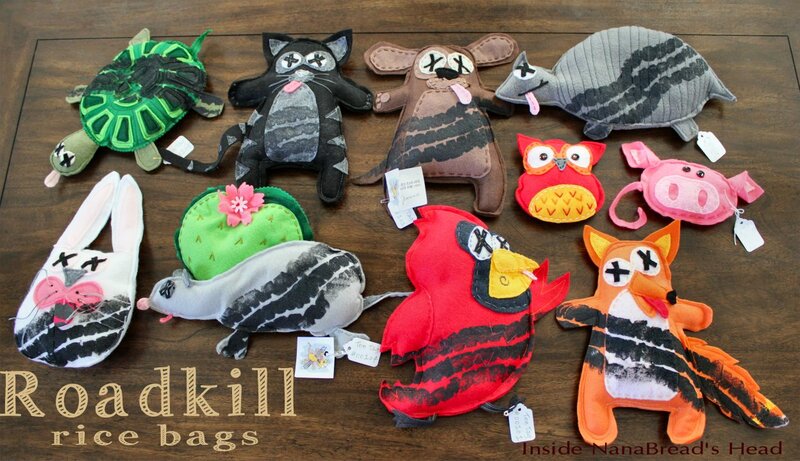 These roadkill boo boo packs are to die for soooo cute. 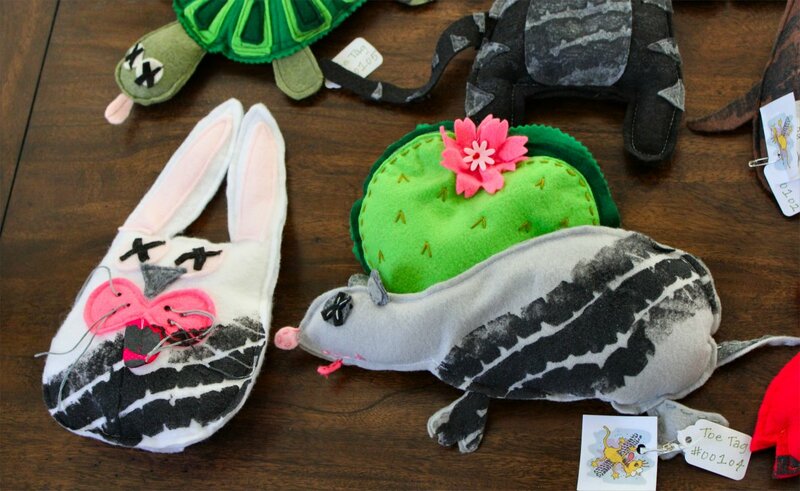 Any chance of getting the patterns I have a bunch of little ones in the family I would love to make these for and I love anything made from felt. Loved reading your post. 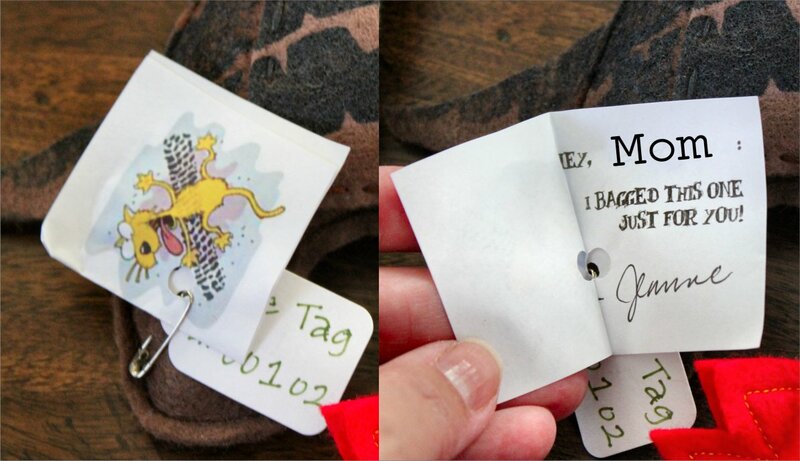 I’m so glad you like them, Margie. Unfortunately, I just free-handed them, so there is no pattern. If you let me know which ones you’re thinking of making, I can try to pull something together. 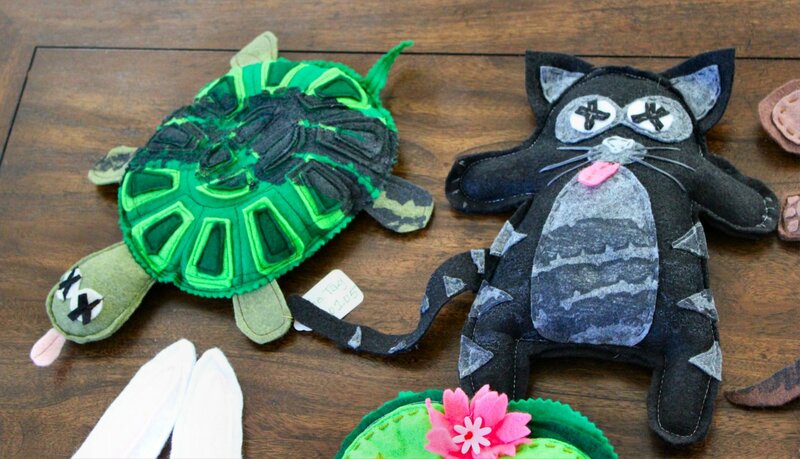 I’d love to know how to make the turtle, cat, and bird. I see the dog and fox are nearly like the cat, but they are very cute. hello, i wanted to know how i could buy a road kill rice bag?